One of my favorite asset classes is Gold. Old Element 79 is pretty interesting for many reasons; it is highly ductile, an extremely good conductor, and it has proven exceedingly difficult to create or destroy over time. But probably my favorite characteristic of gold is that it has been intrinsically linked to stored human toil (value) for over 5,000 years. In fact, Warren Buffet's father in 1948 wrote an excellent piece on this very subject. If you read one thing today (besides the ILAF blog of course), I highly recommend Howard Buffet's speech to Congress entitled: "Human Freedom Rests on Gold Redeemable Money." 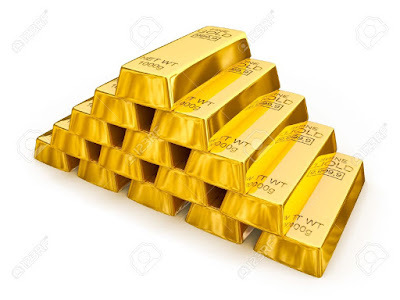 A company I recommend and personally use to buy and store Gold for a flat 1% of spot pricing is aptly named Goldmoney. You can chose where you'd like to vault your gold and it can be redeemed for physical gold on demand. They've essentially reinstated the Gold Standard after an over 80-year absence. As the world watches the Olympics in Rio this summer and the economic fallout from the United Kindgom's Brexit vote, it is interesting that once again all eyes are on timeless Gold as the metric of excellence and value.